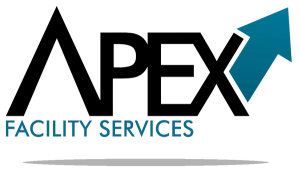 Apex Facility Services has been the YMCA’s preferred supplier of contract cleaning services, janitorial products and janitorial equipment for a number of years. The team at Apex was instrumental in getting our new Dood Cristall Family YMCA up and running in addition to supporting our off site child care facilities. We have found the owners to be very personable and willing to partner with the Y staff in the development of a comprehensive cleaning program. Apex is more than just a facility service, They are part of the community, volunteering time and giving back to organizations such as the Y.